by gillian claire: big move/new store! well, things are falling into place around here and it looks like we will be moving across the country in six weeks! we have been planning and dreaming and talking about this step in our lives since last summer and it's funny to think back to when i wrote this post, and was thinking about THIS move that we are preparing for now. my husband is transferring colleges to finally work on finishing his forestry degree which has been his dream for a long time. there are still so many details to be worked out and i'm not really sure what all is happening right now except that we are moving. soon. another facet to this move is that we are planning to basically clear out most of what we own, and start new! which brings me to my next point - my new store! one dream of mine is to run a second hand children's store online from my home, and since i'm sorting through things for the move, i thought it was a good time to get it going for now and see what happens! so take a look! 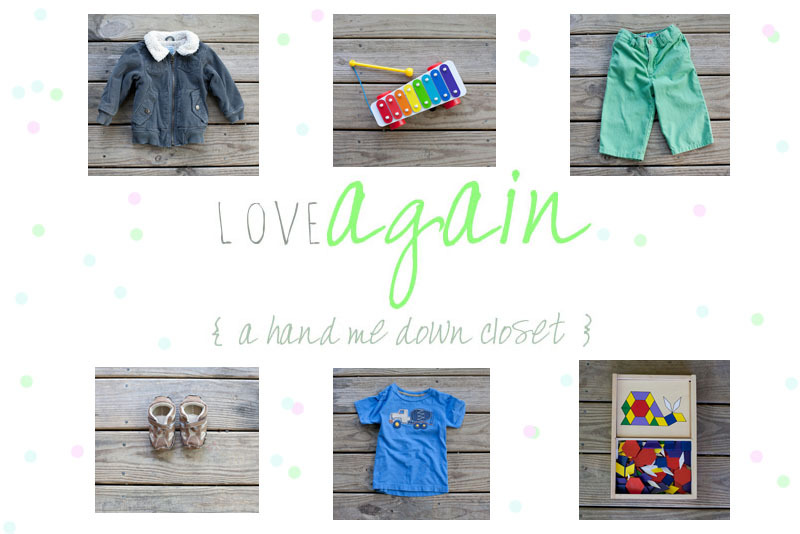 i've posted a lot of gently used/new kid's clothes and shoes as well as toys. since i homeschool i have a lot of great preschool learning activities. i'll probably try to add more items as the week goes on, so check back! also, i'd love any feedback from you all! Wow! How great that you guys are going to get to live out your dreams!! I will say, I always secretly wished that we would be able to become friends since we lived in the same area, but still, I'm so happy for you guys!! And I LOVE the shop idea, I may just have to buy a few things! What a great idea! Man, I wish I had money to snag up your child photography books. They look really good. Sounds like your move is going to be pretty exciting! Good luck with packing and all that stuff. :) We're moving to a new city next month, and I'm nervous but excited, too. Change is kinda fun!